Well, looks like with our warm weather we get wind too, typical. 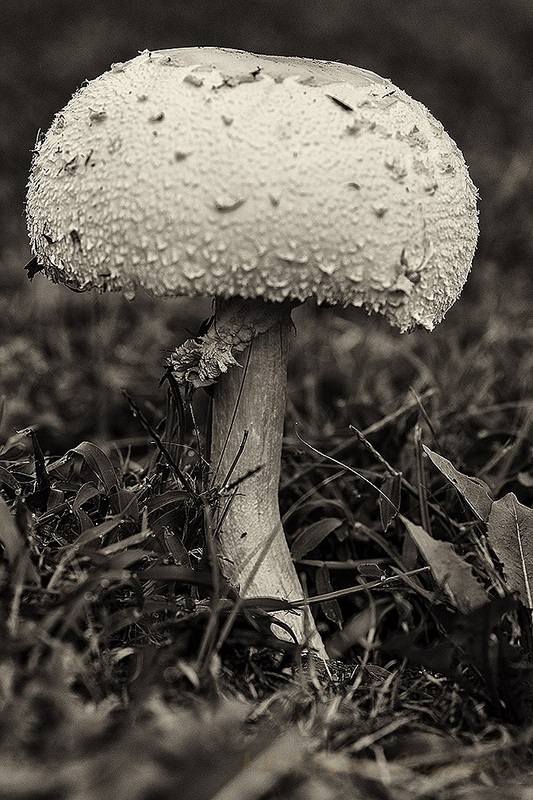 I was looking through older images this morning and found this mushroom that I had shot back in August. 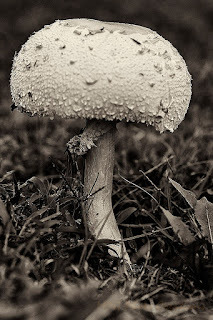 We were having some nice rainy weather this summer that produced some great mushrooms that were fairly large as well. I thought this one lent itself well to a monochrome treatment.